The Dominaria Prerelease gives players their first opportunity to play with Dominaria cards. Inside each Prerelease box players will find 6 Dominaria booster packs, 1 Randomized, date-stamped, premium promo card, drawn from any rare or mythic in the set, 1 Spindown life counter and 1 Deck building advice insert. Venue: Outer Limits Pta, 285 Lynnwood Street, Java Centre, Menlo Park, Pretoria. Price: R 400 per event, per person. To preregister visit our store and complete a preregistration form, or preregister online. Please note preregistration requires payment to confirm. SPECIAL PROMOTION!! 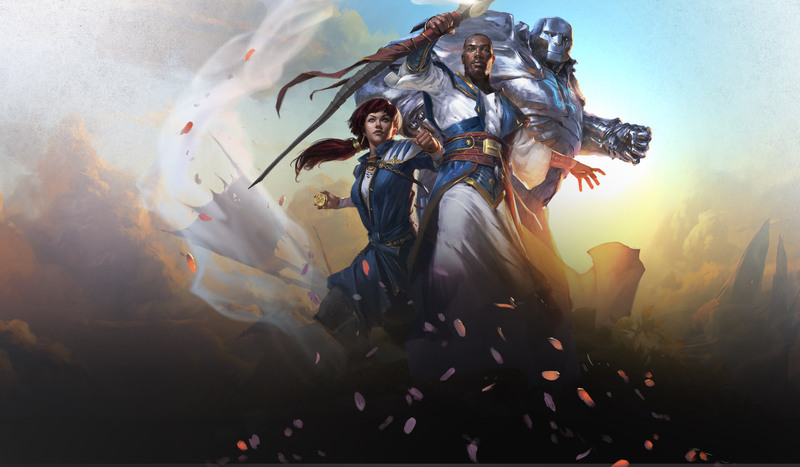 FOR EVERY PRERELEASE EVENT YOU PREREGISTER FOR YOU RECEIVE 1 ENTRY INTO OUR Dominaria BUNDLE DRAW +PLUS IF YOU PREGISTER FOR 2 OR MORE EVENTS YOU RECEIVE FREE ENTRY INTO 4 FNM EVENTS AT OUTER LIMITS PTA. March 24, 2018 in Magic the Gathering. Releasing Soon! Guild of Ravnica Guild Kits! Magic the Gathering: Guilds of Ravnica Pre-orders Now Open!